See some of the world's most accomplished songwriters in the industry with this exclusive VIP Songwriter Series Performance hosted weekly by the Country Music Hall of Fame & Museum, located in downtown Nashville. Every week will feature a different accomplished songwriter, recognized as the visionaries behind many of today's Top Country Music Hits. Shows are performed in an intimate setting at the Ford Theater, located inside the Country Music Hall of Fame, and conclude with a QA Session from the audience - that means you! Join the Country Music Hall of Fame as they host this exclusive VIP Songwriter Series Performance, featuring live shows from some of today's top Country Music songwriters. All shows are located in the Museum's state-of-the-art Ford Theater, the venue that played host to the Country Music Hall of Fame Induction Ceremony between 2001-2014. Enjoy this unique experience as some of Nashville's most accomplished songwriters share the stories behind their work in this intimate performance. The audience is invited to ask questions throughout the show. Please see the schedule below for upcoming performances. 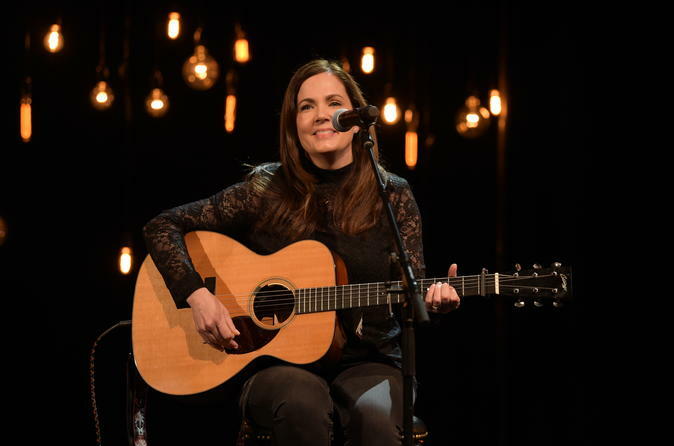 Saturday, October 13, 2018 11:30am-12:15pm Erin Enderlin wrote “Last Call” (LeeAnn Womack), “Monday Morning Church” (Alan Jackson), “Not Enough Tequila” (Terri Clark), “You Don’t Know Jack” (Luke Bryan), and songs recorded by Tyler Farr and Joey + Rory. Her most recent album is Whiskeytown Crier. Enderlin has written songs with recording artist Tara Thompson. Thompson’s 2016 debut EP, Someone to Take Your Place, features the songs “Vows” and “Pregnant at the Prom,” which showcase her humorous yet honest songwriting. Presented by SunTrust. Ford Theater.